Purchased as spare as it was a sales item. Vapefly Pixie RDA Tank with an interchangeable airflow adapters, anti-heating technology and a simple build deck. The Pixie looks like an awesome design. from the deck to reduced chamber and the topcap. I just wished there were some inserts for the Pixie to turn it into a proper MTL RDA. • Empty tank. You need to buy the e-juice separately. • BF pin included. Best for most squonker MODs. そこはかとないお得感。See more Vapefly Pixie RDA Review. 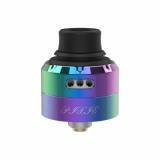 Vapefly has followed on from the success of the Galaxies MTL RDA with a low profile flavor-centric RDA – the Pixie. The Pixie is a 22mm atomizer which features interchangeable airflow adapters, an anti-heating top cap and an easy to use build deck. 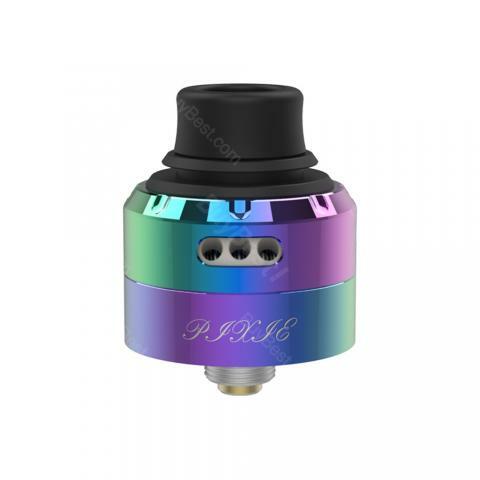 See more review on Vapefly Pixie RDA.